Many other scientists and quantum physicists are now also writing about spiritual experiences. For example, neurosurgeon Dr. Eben Alexander’s book Proof of Heaven reveals his visit to an out-of-body energetic dimension while in a near-death coma. 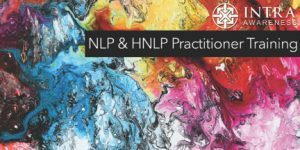 Hypnotherapist Michael Newton’s Journey of Souls details hypnosis sessions where his clients discovered a “between-life library” and reasons why humans reincarnate. As more individuals get curious about personally exploring the “consciousness frontier,” many seek methods for accessing their own soul dimension, which has also been called the Akashic Records, the “Book of Life,” the Collective Consciousness or the Unified Field. Some common modes of tuning into this unseen “force” include guided or breathing meditations, shamanic rituals, remote viewing and hypnosis. While in deep trance, for example, “the sleeping prophet” Edgar Cayce received profound guidance for his clients via medical and past-life readings from 1910-1945. He said he accessed “the Akashic Records,” and popularized that label. I access my personal Akashic Records with a short but potent vibrational prayer via Linda Howe’s Pathway Prayer Process©. For me, this consistent and reliable method feels like a right-brain alpha-state “conscious channeling” session. I receive soul-level perspectives and invaluable guidance on my own life patterns and our collective evolution, and also get an energy tune-up. What are the Akashic Records? To me, the Records are the vibrational archive of our soul’s journeys through all lifetimes. In the vein of dreams, memories and synchronicities, the Records contain the energetic seeds and blossoms of our personal gifts, talents, abilities and soul-level patterns. We develop and express these over multiple lifetimes through our daily lives and creative endeavors. Wikipedia defines the Sanskrit word “Akasha” as “the essence of all things in the tangible world.” This light-frequency is subtle, expansive and highly absorbent, and it is energetically receiving everything each living human thinks, hears, sees, does, says and feels. A favorite visual metaphor for the Akashic Records is a universal library. You can see a Hollywood version of this in the film The Adjustment Bureau. Each human has a “Soul-book” within the library, and each chapter reflects a completed or current lifetime. Thus we merely “write” our lives by living them as the heroes in our own “true-life stories.” The choices we make and actions we take direct each life’s unique plot and relationships, which progress and express soul-patterns. Outwardly, we are all connected via the Internet; the Akashic Records serve as the “cosmic inner-net.” This consciousness dimension continually expands to contain and connect the ever-increasing wealth of “vibrational data” humans generate. I believe we are actually creating a “critical mass” of conscious connectivity, which will eventually enable all humans to directly receive universal wisdom for themselves. Working directly with the Akashic Records helps creative and spiritual people to more easily hear and trust their own inner guidance while having a human experience. Note that what we “feed” into the Akashic Field gets mirrored back via our lives and our world. Because human emotions have the strongest impact on the field, the Records urge us to maintain the balance between peace and fear. By choosing to feel at least 51 percent peace (which includes love) even when the world and our lives are chaotic and stressful, more peace can get reflected back to us and expressed through us. It is my deepest hope that as more people consciously partner with their souls and begin living from a “multiple-lifetime perspective,” we can move through our current challenges and appearance of separation to focus on healing our planet and evolving humanity together. I invite you to join me. 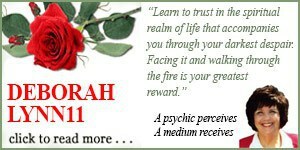 Barbara Schiffman is a Life&Soul Synergy Coach, Hypnotherapist and Akashic Records Advanced Certified Teacher. She helps people expand their lives and evolve their souls from "the inside out." Her books, The Akashic Muse, and Your Akashic Records Coloring Journal: Exploring Your Life and Expressing Your Soul, are on Amazon. Learn about her DailyOM.com e-courses and private coaching programs at www.YourLifeandSoul.com. Contact her via phone at 818.415.3479 or email Barbara@YourLifeandSoul.com.